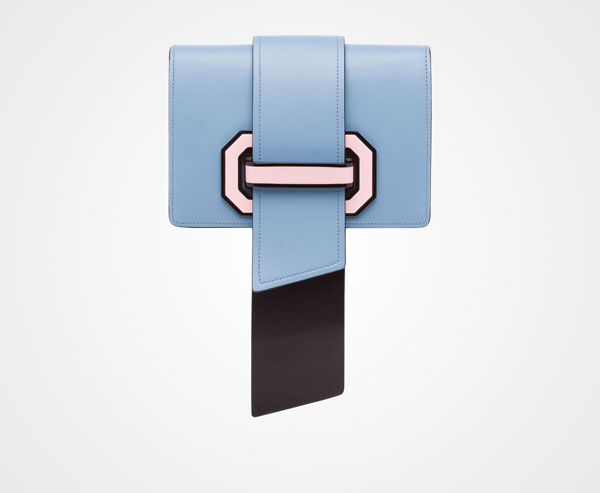 Prada Plex Ribbon is the new player in the world of handbags. 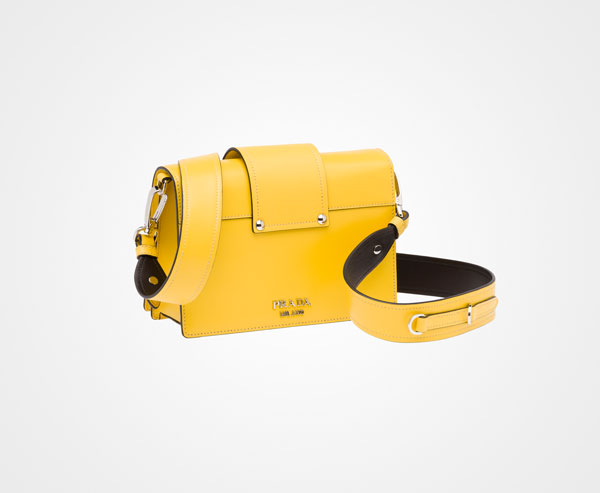 It is always a delight when there is a new handbag design that seems to have all the qualities of a future darling for all the people who love handbags. 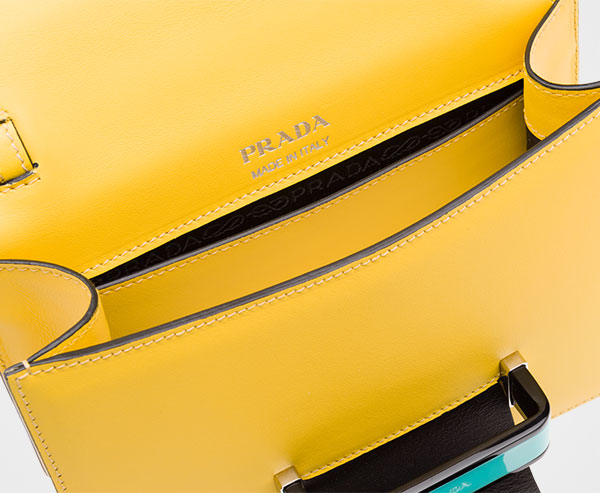 Prada recently seems to have been determined to come up with completely new designs. I am not talking about different materials (suede is great, but seriously, not much rocket science there, is it?). I am not even talking about different colours or sizes or versions. What I am talking about is the brand new shape look and colour that catches your eye the second you enter the store. 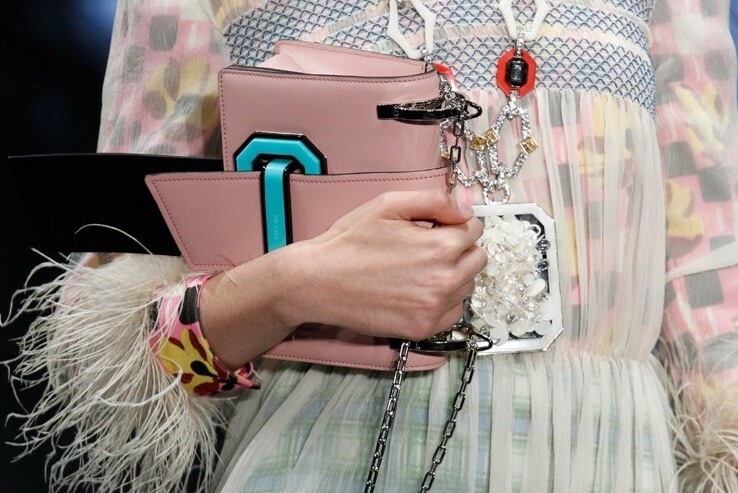 Well Prada is now getting a lot of points for introducing one bag after another. So there was a huge hit Cahier bag. There was an elegant Bibliotheque bag. There was Corolle bag, Pionniere bag or the Corsaire bag. 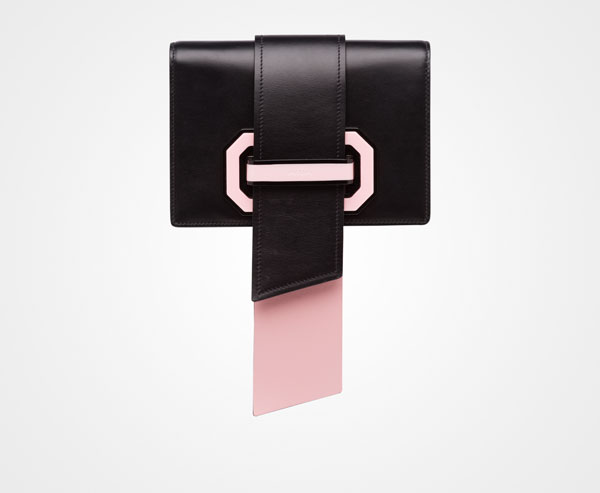 And now the new kid on the block is Prada Plex Ribbon bag. The first version I saw was in baby pink and for some reason it immediately reminded me of the 1980s particularly Barbie. Maybe it was the plexiglas clasp? But the more I looked at it the more I loved it. It has very geometric design and an optional strap so you can wear it as a shoulder bag or as a clutch. Slick and elegant but with a strong statement twist. Do you want something that will add a little bit of an edge to your look? 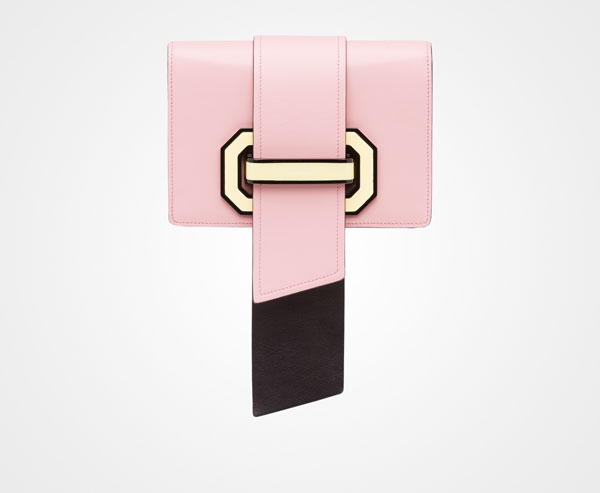 Then Prada Plex Ribbon bag is just what you need. They are available in several different colours – yellow (my favourite), pink, black, blue or white. The clasp is always a different blocking colour. Finally you might be wandering about the price. SO this one will cost you $2.280 (or £1590 / €1.850) but that is a small price to pay if you want all eyes on you, don’t you think? Never saw that one! Looks stunning and so sleek! 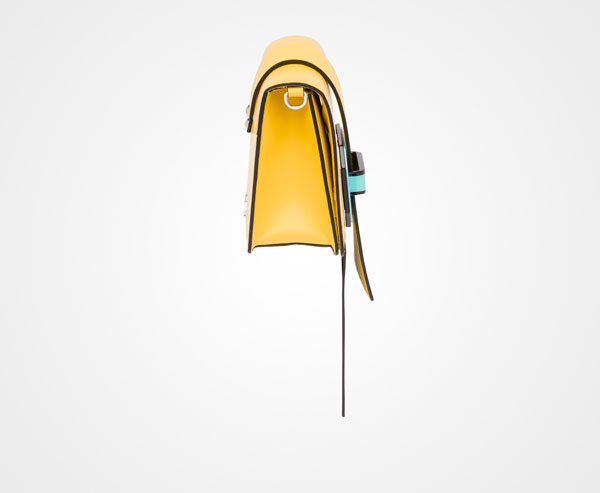 I am a bag fanatic, loved your blog! Loving the blush pink, blue and black ones!!! Just the perfect size to bring when traveling! Totally getting them!